The difference in the connection between the midfield and forwards was shown by Collingwood only retaining possession from 38 percent of its 47 inside 50s, while Port Adelaide had a retention rate of 62 percent from 53 entries. Another good win for the Power who matched Collingwood at the contest and were more efficient with their ball movement. Robbie Gray was terrific with 13 score involvements, including five goals and five assists. Port Adelaide has generated 31 forward half intercepts (above season average 29), but scored a wasteful 3.7. (25) from these opportunities (season average 42 points). Robbie Gray has had 12 effective disposals in the forward 50. No other player on the ground has had more than three such disposals. 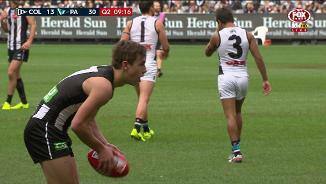 An accurate set shot gives Darcy Moore three second half goals for the Magpies. Collingwood has scored 6.7. (43) from set shots at goal today in another inaccurate display. While Robbie Gray has put on a master class, Sam Gray has also been busy with 19 disposals and eight score involvements including two goals. A forward 50 clearance from Ryder set up the last goal for Dixon. Port Adelaide now lead in scores from stoppages 4.2. (26) to 1.3.(9). Port Adelaide has only a narrow 4139 lead for inside 50s, but has a major 27-16 advantage for shots at goal, with the early misses keeping Collingwood just within touch. This season the Power have generated only 25 percent of their scores from defensive half chains. Today Port Adelaide has scored 6.4. (40) from these chains (more than 50 percent of its score). Collingwood now has the last five scores of the game for a return of 2.3.(15). Collingwood lead forward 50 tackles (106) and forward 50 marks (8-7), but has retained possession from only 41 percent of its kicks inside 50. This connection between the midfield and forwards has been the difference between the teams. A five goal burst in the third quarter from Port Adelaide has given it a 34 point lead at three quarter time. Robbie Gray with five goals and four score assists continues to be a forward threat. Collingwood has had six of the last seven inside 50 entries, but scored only 1.2. (8) during this period of control. 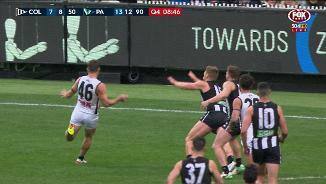 Tyson Goldsack has again done a good job of disrupting the ball movement of the opposition. Goldsack has a gamehigh eight intercept possessions, and a team-high four spoils. Magpies InterchangeBen Reid off due to an injury. A spectacular mark from Brodie Grundy has left team mate Ben Reid in the hands of the trainers. Reid has had 15 disposals at 93 percent efficiency with six intercept possessions for the Magpies. Port Adelaide has generated nine shots at goal this quarter from only 11 inside 50 entries, with the Magpies unable to stop their ball movement. Ollie Wines has a gamehigh 12 contested possessions along with four tackles and six score involvements (including the last goal). Port Adelaide has retained possession from 71 percent of its forward 50 entries, while Collingwood has a retention rate of only 36 percent. 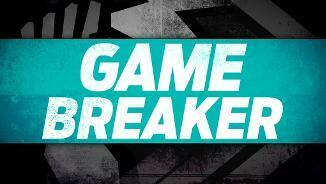 Four goals in a row to Port Adelaide who has eight of the last nine inside 50 entries and a gamehigh 36 point lead. The centre bounces have become a problem for the Magpies, with the Power now having scored 3.1. (19) from eight clearances, while the Magpies have scored 0.1. (1) from six clearances. Two of the better performed ruckmen this year in Grundy and Ryder have largely nullified each other so far. Both players have just the four hitouts to advantage, and less than ten disposals each. Some excellent scrambling play from Fasolo and Brown helped create the set shot at goal for Crocker. Collingwood has scored 4.3. (27) from set shots while Port Adelaide has scored 3.2. (20) from its set shots at goal. 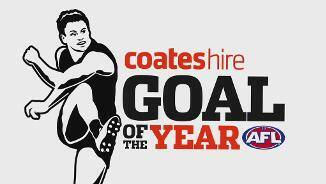 A third score assist from Robbie Gray provides Matt White with his first goal of the day. White has six score involvements including three assists of his own. Magpies InterchangeTyson Goldsack off due to an injury. Collingwood is able to capitalise on some early ball control in the third quarter (effective disposals 113), with its second goal of the day from a free kick. Charlie Dixon has been the target of more inside 50 kicks than any other player this season (nearly 12 per game). At half time he has been the target of only two kicks inside 50, with the Power directing seven entries through Robbie Gray with success. Collingwood is playing a high possession style, and lead in short kicks (6036), handballs (99-76) and disposals (221-173), but the inside 50 count is 25-24 in favor of Port Adelaide. Port Adelaide has been wasteful in the first half with a 178 advantage in shots at goal only resulting in a 17 point lead. The Power have scored just 1.5. (11) from 15 forward half intercepts. A better second quarter from the Magpies who outscored the Power by four points, but still trail by 17. Robbie Gray with four first half goals and two score assists was the star player for Port Adelaide. This quarter the Magpies lead in clearances (105), inside 50s (11-5), and effective disposals (73-35). The last goal for the Power was their second coming from a chain started in the defensive 50. Port Adelaide has now scored 2.1. (13) from 17 such chains, while Collingwood has scored 1.0. (6) from 18 defensive 50 chains. For the second time today the Power are able to answer a Magpie goal with a centre bounce clearance and goal of their own. Robbie Gray has three early goals, which is the most he has ever kicked against Collingwood. Scott Pendlebury leads all players for effective disposals (13), clearances (4) and metres gained (268) in another strong performance. This quarter the Magpies lead the clearances (62), contested possessions (13-10) and inside 50s (4-3), as they try to battle back into the game. 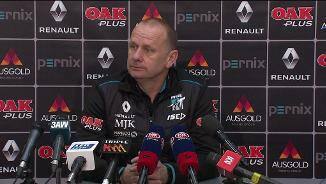 Port Adelaide has generated four forward 50 intercepts, but scored only 0.3. (3) from these chances. This season the Power average 14 points from six such intercepts. Alex Fasolo has kicked both of the Collingwood goals, with the last goal coming from a chain started at the kickin. The Magpies average 5.2 points per game from this source (ranked fourth). Port Adelaide average 42 points from 29 forward half intercepts this season (ranked first). The Power currently have scored nine points from ten such intercepts. Port Adelaide has retained possession following 73 percent of its inside 50 entries, while Collingwood has retained possession following 15 percent of its inside 50 entries. The Power are ranked last in this measure with a retention rate of 46 percent. An impressive first quarter from Port Adelaide who hold a 21 point lead. The Power won the contested possessions (4636), and moved the ball quickly into their forwards, where Robbie Gray was dangerous with four score involvements including two goals. While the inside 50 count is relatively even (1512 to Port Adelaide), the Power lead in forward 50 disposals (20-7), shots at goal (10-2) and forward 50 marks (3-1). 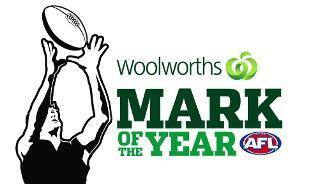 Robbie Gray has taken all three of these marks. The third goal for the Power comes following a centre bounce clearance. Port Adelaide is the No.1 ranked team at scoring from centre bounce clearances this season, averaging 16 points per game. The Magpies get their first goal of the game following a forward half intercept. Collingwood average 29 points per game from such a source (ranked 11th). Both teams are having trouble clearing the ball from their defensive 50. Collingwood has had ten chains starting in its defensive 50, with none of these resulting in a forward 50 entry. Port Adelaide has one forward 50 entry from seven such chains. A classy checkside goal from Robbie Gray capped a run of five consecutive inside 50 entries for the Power as they trapped the ball in their forward half. They currently lead 6-1 in forward half intercepts. The inside 50 count is 65 in favor of the Power, but in a sign of their better ball movement they lead 6-1 for shots at goal, but have returned just the one goal from these opportunities. The opening goal for the Power came from an intercept in the defensive midfield. Only 15 percent of their scores this season have come from defensive midfield chains, which is the lowest percentage of any team. Jeremy Howe has taken two early intercept marks for the Magpies. Howe is the No.1 ranked player this season for intercept marks with 44. The Magpies had the first three inside 50 entries of the game, but could not produce a shot at goal from these chances, while Port Adelaide was able to get a shot at goal from its first entry. Collingwood is ranked 16th for goals per inside 50. Power InterchangeJack Hombsch off due to an injury. Paddy Ryder in game number 200 today wins the opening clearance of the game. Ryder is averaging careerhighs for contested possessions (9.4), clearances (4.2) and hitouts to advantage (9.9) this season. Port Adelaide has been in front of its opposition for 60 percent of game time this season, which is the highest percentage of all teams. Over the past five weeks, the Magpies have averaged 16 more inside 50s per game then their opposition, which is the best differential in this period. The Power have retained possession from only 46 percent of its kicks into the forward 50 this season (ranked last), while Collingwood has taken a mark from 23 percent of its kicks into the forward 50 (ranked No.1). 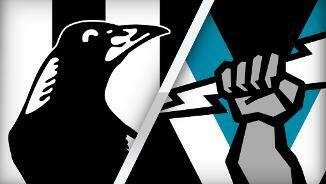 Both teams have won the territory battle this season, with Port Adelaide ranked first and Collingwood second for inside 50 differential. This has been the result of good clearance work with the Magpies ranked second and the Power third at clearances. Welcome to MCG for the Collingwood v Port Adelaide Round 14 clash. A ROBBIE Gray masterclass has steered Port Adelaide to a critical 31-point victory on its season debut at the MCG against an overwhelmed Collingwood on Saturday. The brilliant forward kicked four of his five goals in the first half to give the Power a 17-point edge before the visitors put the Magpies to the sword with five-straight third-quarter majors. 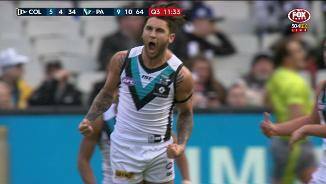 Four of them came in a six-minute burst as Port surged a match-high 42 points clear, kick-started by Gray's fifth when he bobbed up with the ball behind a pack of players and strolled into goal. Collingwood launched a brief fightback, but never seriously threatened as Ken Hinkley's men recorded a 13.15 (93) to 9.8 (62) victory in front of 35,933 fans to entrench itself in the top four. 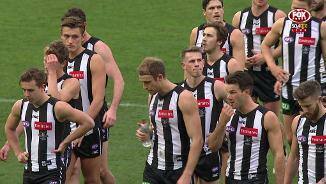 The Pies remain off the top-eight pace as they desperately seek a first finals appearance in four years. "I'm proud of the performance today by the boys and any time you travel interstate and win games is big when you build a football season," Hinkley said. "Collingwood has been in really strong, solid form and some might say we still haven't beaten a top-eight side. "We love coming to the 'G, first and foremost … but when you play in a national comp, it's a challenge to go interstate – whether it's in Melbourne or any of the other states – and we just look forward to going there and giving our best and coming away with wins." Collingwood's sole third-term highlight was ruckman Brodie Grundy's towering grab in defence, but even that resulted in teammate Ben Reid leaving the field courtesy of an accidental knee to the head. The Power were strong inside the contest all day, thanks in large part to midfield bulls Ollie Wines and Sam Powell-Pepper. The first-year NAB AFL Rising Star nominee was bold and cheeky enough to bury Pies skipper Scott Pendlebury into the ground after one of his bruising tackles. They had 26 contested possessions and nine clearances between them. Forgotten speedster Matt White complemented their efforts inside with his trademark hard running. Forgotten speedster Matt White complemented their efforts inside with his trademark hard running. The ex-Tiger was a late replacement on Friday for defender Matthew Broadbent (ankle) and made a scintillating start to what was just his third game in the past two seasons. He had a hand in Port Adelaide's first three goals. 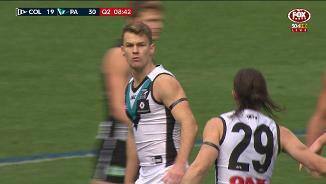 But Robbie Gray – opposed firstly to Tom Langdon, then Tyson Goldsack – was the difference, booting his second goal to the first break from 40m, after a soaring overhead pack grab. The Power's quarter-time lead would have been more than 21 points if not for Gray and Charlie Dixon's sprayed set shots inside the first five minutes. Gray continued to dominate in attack and added two second-quarter goals – one after gathering superbly then swinging onto his right boot, before another following a difficult mark running towards goal. Collingwood still managed to grind its way back into the contest through weight of possession. Pendlebury (32 disposals) was a solid performer from the outset, but fellow stars Steele Sidebottom (36) and Adam Treloar (35) blossomed alongside their captain in the second term. Meanwhile, Port's ball use slipped somewhat, with Wines one of the culprits. The match looked up for grabs when Jack Hombsch gave away a free kick for front-on contact against Ben Crocker, who put Collingwood within 11 points barely 90 seconds into the third quarter. But man-of-the-moment Gray intervened again, slipping a handball into space under pressure from Pies defender Lynden Dunn for White to soccer through the first of five consecutive Power goals. 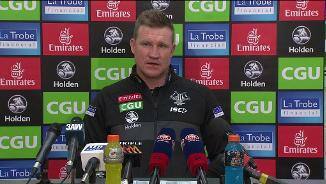 Collingwood coach Nathan Buckley said Port Adelaide was simply the better side. "It's the best opposition we've had. 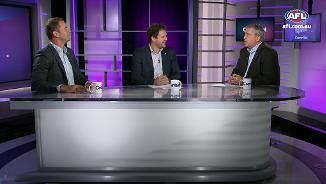 They were really impressive," Buckley said. "They were really strong around the ball and in that 10 or 15-metre bubble, when the ball needs to be won. Then, you either need to work through the pressure or apply pressure. "The statistics will say we won contested ball and I think we won the pressure, but that wasn't indicative of the way the game was played." Collingwood: Tyson Goldsack limped off in the opening minutes of the third term with a corked right thigh, but was able to resume. 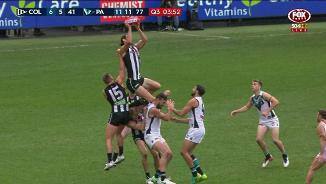 Brodie Grundy's big mark – or more so his knee – in the third quarter delivered some friendly fire to Ben Reid's head. Reid left the ground briefly, but also came back on. Port Adelaide: Defender Jack Hombsch spent almost 10 minutes off the ground early in the first quarter after a knock to his left knee. He returned with significant strapping and played the match out. Justin Westhoff (thumb) and Matt White (hamstring) received treatment throughout the afternoon. Collingwood faces a resurgent Hawthorn that could welcome more premiership talent back and will have two fewer days' preparation for the Sunday week clash at the MCG. Port Adelaide returns to Adelaide Oval next week to host Richmond on Saturday night in a potential early finals preview.